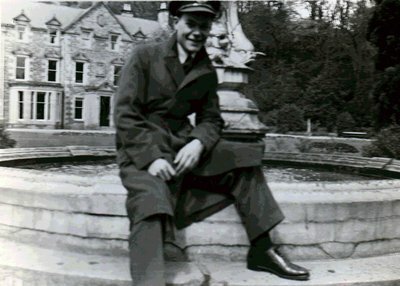 Robert Mackenzie (Mac) Algar, enlisted 4 December 1942 in the R.C.A.F. He trained at Toronto, Brandon, Winnipeg, Trention, & MacDonald (Manitoba). He went overseas Nov. 30th 1943, and completed one tour of Ops (38 trips). Pilot Officer Algar arrived home 17 June 1945, and received his discharge 20 July 1945.